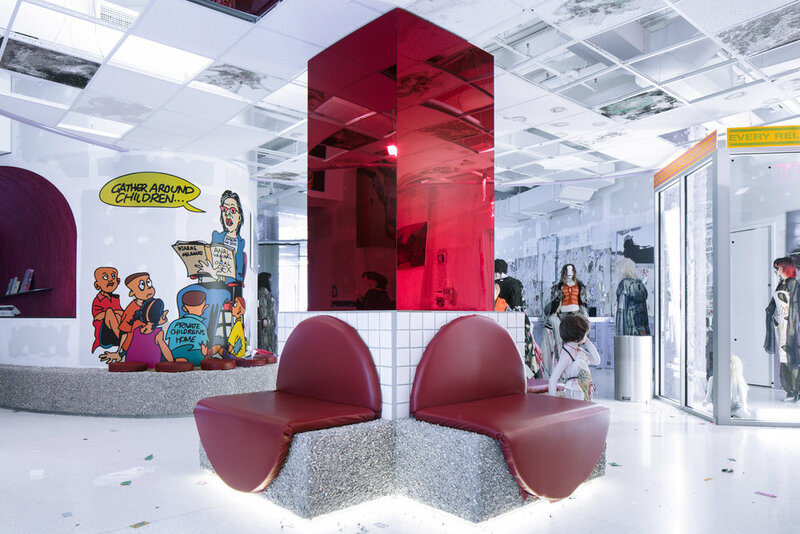 For artist Bjarne Melgaard’s project coinciding with New York Fashion Week, The Casual Pleasure of Disappointment, Charlap Hyman & Herrero designed a multi-level department store-like setting. 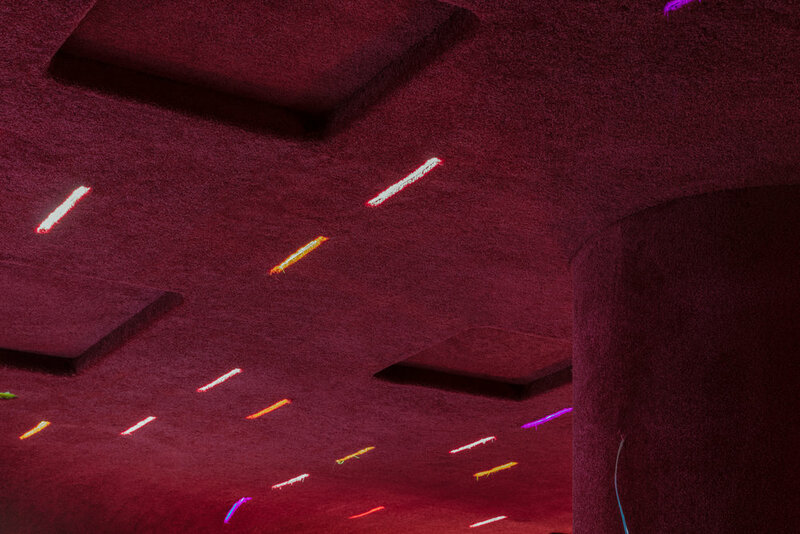 Produced in collaboration with creative director Babak Radboy at Red Bull Arts New York, the month-long exhibition was a dystopian gesamkunstwerk. In CHH's Hadean version of a shopping mall, a multitude of distorted mannequins styled by Avena Gallagher debuted Melgaard’s eponymous clothing line, while Gavin Brown’s enterprise featured jewelry by Bjørg Nordli-Mathisen.